It is an honor to be included among the best in the country. We hope to see you at the the Briscoe Western Art Museum’s – 18th Annual Night of Artists Exhibition, Live Auction, and Sale. The Night of Artists Exhibition and Sale showcases 280 works by nearly 80 of the county’s top Artists. Therefore, This exhibition has become one of the most prestigious contemporary art shows in the country. 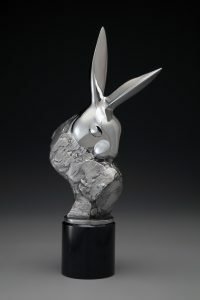 Experience the remarkable talent of the very best of the best in contemporary Western Art. JOIN US and other Western art enthusiasts at the Briscoe Western Art Museum, on the banks of the San Antonio River Walk for an unforgettable experience! Most importantly you will enjoy a full weekend of events including the Exhibition Preview, Artists Awards Dinner & Live Auction and the Luck of the Draw Sale & Reception, and besides that a whole lot more!